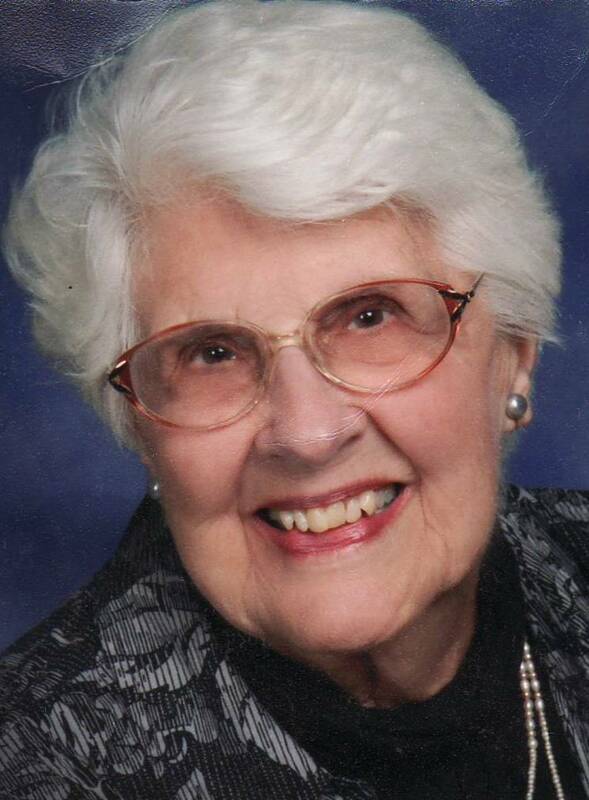 Doris Maxine Collins-Moore, 90, Harrisonville, MO, formerly of Grandview, MO, died Thursday, June 25, 2015 at Cass Regional Medical Center in Harrisonville. Funeral services were held Monday, June 29, 2015 at the Grandview United Methodist Church in Grandview, MO, under the direction of Atkinson Funeral Home, Harrisonville, MO. Memorial contributions may be made to Cystic Fibrosis Foundation or the Spofford Home in Kansas City, MO. Doris was born February 2, 1925 in Transfer, PA, the daughter of William A. and Florence M. (Durst) Cadman. She grew up in Greenville, PA. She was united in marriage to Donald F. Collins in 1943 in North Carolina. They moved to Centralia, MO in 1959 and to Grandview, MO in 1964. Don died in 1990. In Centralia she was very active in her children’s Cub Scout and Girl Scouts. Doris was also active in the Grandview United Methodist Church and was District President of the United Methodist Women (UMW) and Co-Director of the UNDC youth tours. Doris was united in marriage to George Moore in 1996 in Grandview. They moved to Harrisonville in 2005. The center of her life was her family – making every child, grandchild, and great grandchild feel like they were her favorite. Doris was preceded in death by her parents, her first husband, Don, two sisters, Alice and Marjorie, and one brother, Robert. She is survived by her husband, George Moore, of the home; two sons, Donald F. Collins, Jr. (Vickie) Centralia, MO, and Dana W. C. Collins (Marcia), Raytown, MO; two daughters, D. Diane McDaniel (Asher), Roach, MO; and Darla C. Faler (Michael), Berryton, KS; three step-daughters, Patty Ralston (Greg), Colorado Springs, CO, Karen Moore and Sharon Salmons, both of Columbia, MO; 16 grandchildren and 6 great-grandchildren. Portsmouth, NH – Allison Smith entered eternal life on Thursday, February 12th,2015. A devoted wife, daughter, sister, and friend, Allison died tragically in an auto accident on February 12th in Milton, NH. She was 31. Her spirit is carried on by her wife, Lucy Pollard of Portsmouth, NH, her loving parents, Renee and Laurence Smith of Harrisonville, MO, and sister, Lauren Pedersen (Matt) of Ankeny, IA, two nephews, and an extended family of relations and friends from every walk of life. She is the granddaughter of J. Harold and Mildred Smith of Harrisonville, MO. Allison was born in Harrisonville, MO, and graduated from Pembroke Hill School in Kansas City. She earned a BA in environmental policy at Dartmouth, where she was on the varsity cross country and track teams and an enthusiastic member of the Dartmouth Outing Club. She also earned an MS in environmental law at Vermont Law School and would soon have completed an MBA at Babson College. 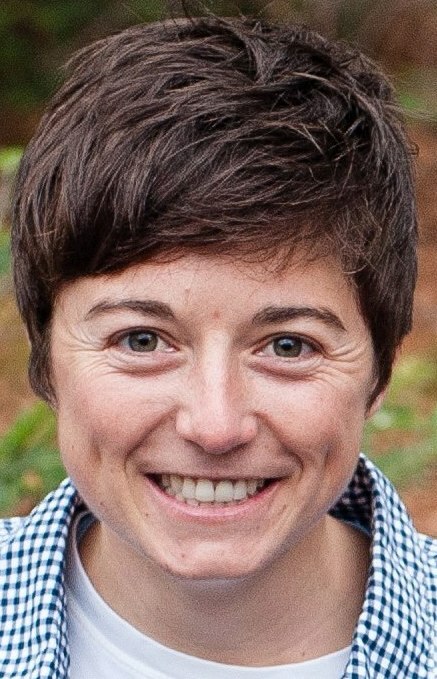 An accomplished marathoner and triathlete, Allison loved the outdoors and was also an avid hiker, biker and swimmer. She completed the Boston Marathon in 2011, qualifying for the New York Marathon. She was a devoted friend who lit up the lives of others with her warmth, caring and infectious energy. collective interests of the six New England states, Allison focused on forwardlooking clean energy issues like solar power. She cared deeply about the long term climate implications of our energy choices and had a unique ability to help people understand such a complicated subject. Her colleagues will remember her intelligence and the good cheer she brought to her work. When there was unbridled laughter around a conference room table, it was usually Allison’s doing. Wesleyan Chapel of the United Church of the Resurrection in Leawood, KS, will follow on February 21st at 2:00 pm. (livestream at http://www.cor.org/online) Family visitation will be held at the United Methodist Church in Allison’s hometown of Harrisonville, MO, on Friday, February 20 from 6:00 to 8:00 pm. Private interment will occur at Orient Cemetery in Harrisonville, MO. In lieu of flowers, contributions may be made to the Dartmouth Outing Club to support a project that will honor Allison. Contributions may also be given to the Allison W. Smith Memorial at Pembroke Hill School recognizing student achievement in character, academics, and sportsmanship. Virginia “Ginny” Louise Zellmer, 78, Harrisonville, Missouri, died Wednesday, January 14, 2015 at Golden Years Health Care, Harrisonville. Funeral services were held Monday, January 19, 2015 at the Cornerstone Community Church in Harrisonville with burial in Orient Cemetery, Harrisonville, under the direction of Atkinson Funeral Home, Harrisonville. Memorial contributions may be made to the Cornerstone Community Church Memorial Fund, 1704 Waters Road, Harrisonville, MO 64701. Ginny was born February 14, 1936 in Swartz Creek, Michigan, the daughter of Joseph Eugene and Olive Nellie (Hammond) Purdy. She was a 1953 graduate of Adrian High School and received a BA in Home Economics from The University of Missouri, Columbia, in 1957. She married Ted Zellmer on June 30, 1957 at the Adrian Methodist Church in Adrian, Missouri. She had lived near Harrisonville since 1957. Ginny was a very active partner, working the farm with her husband, Ted. Over the years, she was active in several organizations, including Stonecroft Ministries in Grandview, Missouri, as a speaker and a regional director, Cass County Farm Bureau, and Cass County Pork Producers. She was a member of Beta Sigma Phi Sorority in Archie, Missouri. She was a leader of 4-H and the leader with Ted of the youth group at church for many years. Ginny was a published author, having written a book and magazine articles. She was a charter member of Cornerstone Community Church in Harrisonville. Ginny was preceded in death by her parents, one brother, Bill Purdy and one grandson, Brice Heid. She is survived by her husband, Ted, of the home; two daughters, Peggy Heid and husband, Brent, and Vicky Hartzler and husband, Lowell, all of Harrisonville, Missouri; one sister, Dorothy Norman and husband, David, Ava, Missouri; sister-in-law, Betty Purdy; 5 grandchildren, Jared (Rachel), Devin, Landon and Caleb Heid and Tiffany Hartzler, and 3 great-granddaughters, Elaena, Avery and Arely. (Arrangements under the direction of Atkinson Funeral Home, Harrisonville, MO. Online condolences may be made to atkinsonfuneralhome.com). Edwin Benjamin Wilkinson, 94, Lone Jack, Missouri, died Thursday, January 1, 2015 at the Missouri Veterans Home in Warrensburg, Missouri. Masonic Service/Funeral service will be held beginning at 2:00 p.m. Tuesday, January 6, 2015 at the Atkinson Funeral Home in Harrisonville, Missouri. Visitation will be from 1:00-2:00 Tuesday at the Atkinson Funeral Home. Burial will be in Lone Jack Cemetery, Lone Jack, Missouri. Memorial contributions may be made to the Lone Jack Cemetery or to Lone Jack Christian Church. Edwin was born December 30, 1920 in Lone Jack, Missouri, the son of John Wesley and Eula May (Bynum) Wilkinson. He attended grade school in a one-room schoolhouse called the Liberty School, one mile away from the family farm in rural Johnson County, Missouri. He was a 1938 graduate of Lone Jack High School. In 1943, Edwin joined the U. S. Navy and attended Northwestern University in Chicago, Illinois, where he graduated from the Officer’s Training Midshipman’s School in December, 1943. He served in WWII as an officer on two naval ships, the U.S.S. Storm King and the U.S.S. Bountiful. During his service, he earned three medals of distinction, the Asiatic pacific 4 Star, the Philippine Liberation 2 Star, and the American Theatre WWII Victory Medal. After the war, Edwin continued his education at Central Missouri State Teachers College from 1946-1947 and received his Bachelor of Science Degree in Education, with a major in Agriculture and Biology and a minor in Industrial Arts. In 1948 he graduated from The University of Missouri with a Bachelor of Science Degree in Agriculture. He received his Teacher’s Certification in 1949 and taught Vocational Agriculture to Veterans in Cass County, Missouri. On November 18, 1950, Edwin married Florence Kerr. They had six children. Throughout his life, Edwin worked part time on the Wilkinson family farm, outside of Lone Jack, where he assisted his father and brother, raising livestock, cattle, sheep, and pigs and a variety of crops. Edwin was employed at the Lake City Army Ammunition Plant, outside of Kansas City, Missouri, for several years and then in 1972, he went to work as a rural postal carrier in Lone Jack. He retired from the Post Office in 1995 with 23 years of service. Edwin has always been a hard working individual, showing his devotion and dedication, not only through his work on the farm, but by serving his community through his occupation. He has enjoyed spending time with his family, and is proud to have had the opportunity to serve and protect his country during WWII. He was a member of the Lone Jack Christian Church, a 50+ member of the Jewel Masonic Lodge #480 AF&AM, Pleasant Hill, Missouri. Edwin was preceded in death by his parents, his wife, Florence, on January 17, 2013, and one granddaughter, Lisa A. (Loftis) Piburn on April 11, 2011. He is survived by two sons, Jack E. Wilkinson (Carolyn), Lone Jack, Missouri and William “Wesley” Wilkinson (Jeff Baer), Elverta, California; four daughters, Lois A. Loftis (Phillip), Lone Jack, Vicki L. Cada, Lee’s Summit, Missouri, Sherry M. Aldridge (Roger), Lone Jack, and Lori F. Wilkinson, Lone Jack; one sister, Florence Adams, Oak Grove, Missouri; 9 grandchildren and 16 great-grandchildren. (Arrangements under the direction of Atkinson Funeral Home, Harrisonville, MO. Online condolences may be made to atkinsonfuneralhome.com).